Improve productivity – deploy and stow in less than :20 seconds. Only ErgoRack provides drop down ladder rotation. Dual, single, or combination models available. 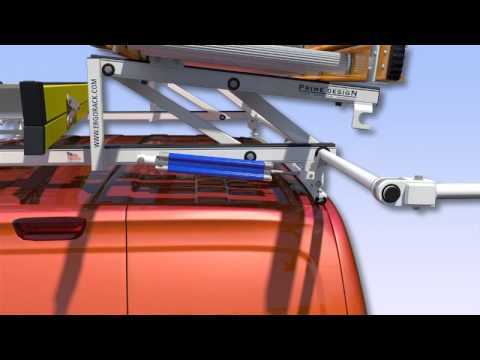 Twenty-eight foot maximum extension ladder length, ten foot maximum step ladder length. For rotation ladder racks, crossbars can be spaced at five or six feet. Roof capacity of Nissan NV200 is 220 pounds when using all three mount locations.